Both stories are important messages. Plus I like seeing @Jazzer's smile. Hi Danish Girl, here is Catherine Jones's email address- catherine.jones@itn.co.uk It's no big secret as it's published on Twitter. I hope you will go through with it, there may be other times when we need to speak up for ourselves. It could be very useful down the line if a group of us can come together and be counted on for taking action through email responses. But you need to take the first step by writing the email and clicking on Send. The next time it will be easier and it will continue to get easier until it's no trouble at all. I wonder if we should send catherine.jones@itn.co.uk (with @Jazzer's permission) the link to his video? My loud tinnitus (metal screeching brakes) never reduced nor did it disappear. This makes a sufferer feel more isolated rather than encouraged. If this was true why are we here? Why donate to research? Why support Tinnitus Talk with donations? Is that why many members chose not to donate to the fund drive? I got the call Sunday night to say the correspondent was going to another story, instead of me on Monday morning. They did say that they wanted to come back to it at some point so hopefully that happens. I am unfortunately well aware that no matter what I say or how I put the message across, I will be framed by the editing room floor. We can try as much as we want but without complete control of the narrative the story that gets put together is someone else's view and suitable to their goals. As David said, it's important to build trust, in exactly the way that we have with Tinnitus Talk and Hub. We didn't go in screaming at people and forcing the issue, that would have ended collaborations before they began; we developed links and trust over time. The news and media are not going to do exactly as we want, we have to try and shape the story and make them see the benefits and impact it will have, which may take some time and may never get to the place that many want it to. Like you wrote I will die trying. And I do hope @Steve will be asked back, like he wrote above, to talk about tinnitus. I think he has a big impact in interviews. OK, I'm trying to get a grip. How old is that video, I wonder? On YouTube it says May 2018. If you click on the YouTube thing in the corner it takes you to the video and comments on YouTube. OK, and that brew-ha-ha with ATA saying that tinnitus fades was on November 3, 2018. So the Isobel video is 5-6 months before ATA made that comment. What, if anything, can we conclude from that? I mean where did that information come from? Hahaha... Starthrower... you’re good for me. 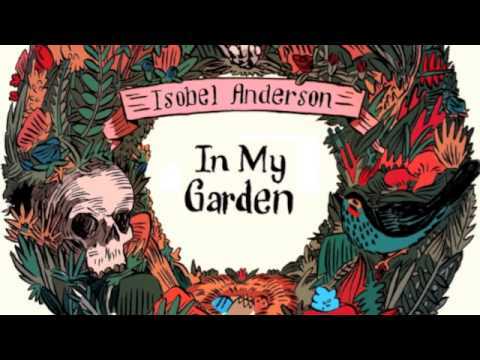 I just watched Catherine Jones’ video and enjoyed it. Reflecting on my own video, first of all, I approached it as a ‘story’ - a history of the experience of getting it, and also of its effect on my life and career. I wanted to warn others about what could happen to them if they were not careful. I gave as much detail as I could, very obviously in layman’s terms - I have no real medical knowledge, though I have read about 6/8 books on the subject. Though I did mention relaxation and meditation near the end, I did not go into any detail about how I practice these things. For instance, for many years I suffered with TMJ - temporal mandibular jaw pain. About 20 years ago I went to an eminent psychotherapist who noticed that I was teeth grinding while listening to her. I have never ‘closed my gob’ in 20 years! My teeth only ever close around food. As my video - losing my musical career - was essentially a sad story, it has occurred to me that perhaps I should attempt to do one on preventing bruxism, doing relaxation and meditation. I have found practices that help me a great deal, but I am put off because I am no expert in meditation as such. Consequently my methods are essentially home-spun. For me, WNGs were not things I found useful, neither were pillow speakers. My tool box comes out of the psychology aspect. I fall in line with what this young lady was saying about acceptance, compassion and language. Sorry this is long Star. Yes - just as @TuxedoCat asked - I do wonder what it was that perplexed you Star? Well 2 things now - first, the business about tinnitus reducing or disappearing wasn't included in Catherine Jones' story. So we dodged the bullet on that one. They do say at the end that with proper treatment it can be manageable. Manage we do because we have no choice, and I feel safe saying that none of us would refuse an effective treatment if one existed. I wish they would emphasize that more in these clips. More research for a cure is needed. Is that so difficult? Second, I'm still curious where the bit about tinnitus reduces significantly or fades away comes from and what data supports the statement. If there is no support I'd love to see it stamped out completely. ATA have never produced the proof, how about it BTA? As for sending Jazzer's story... Catherine Jones hasn't responded to my email. I kinda wonder if anyone reads the emails? I'm inclined towards waiting to see if there are any signs of life at 5News, like will they call Steve back. Or, if they are onto something else and will never look back. I think Jazzer's story is too good to be sucked into some black hole in TV land. “However, in the VAST majority of cases, people’s tinnitus significantly reduces or disappears over time.”???? This is a myth - in fact - a lie. 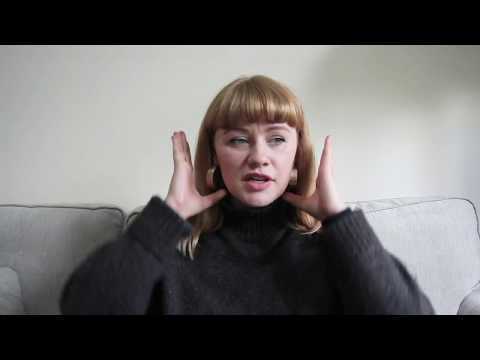 This young lady is very pleasant to listen to, but I come away with the feeling that her essential message on tinnitus is homogenised. I spotted no anguish - no sense of the depths this thing can take you to. My 20 years of mild tinnitus never diminished. My 5 years of severe tinnitus never diminished. I do agree that we can still live a good life, but not without its frustrations and suffering. Both ATA and BTA have now said that tinnitus significantly reduces or disappears over time in the VAST majority of cases. BTA made that statement in May 2018 on the Isobel video at 4:34. For your convenience the video is included above in Starthrower's post. ATA made a very similar statement several months later in connection with the movie, A Star Is Born. ATA have never come back with the data to support it. Now it appears BTA were the first to say it. What is the support for this statement BTA ? Thank you in advance for your response. When one is around other people, one must compromise, and one must make an effort (to be coherent when talking to them, to not upset them, etc). I prefer a life without compromises and I like being carefree (so whenever I can, I prefer to avoid exerting effort). This is true and some people are more awkward to get along with. I do enjoy some social interaction but being alone is bliss. I believe this young lady makes the ubiquitous assumption that her experience is the common experience. Why does almost everybody assume that their experience will be our experience. Nearly everybody with mild Tinnitus trots out the old “it will fade - so just ignore it” crap. When that old boy in the video sat on my front wall and told me his noise was terrible, unbearable, I didn’t argue with him, I believed him. I did notice that her “T” was an infection induced one. I have not read anywhere that SSNHL Tinnitus fades, yet this idea us still shoved out there. I remember back in 2002 sitting in the esteemed House Clinic nervous, anxious and very distraught. I went there because it was supposed to be the best of the best for tinnitus. I remember my husband dropped me off of the way to our offices in Los Angeles. We thought the appointment would last at least a few hours. I was shaking in fear. I sat and sat for about half an hour among other patients. Then someone called out about ten names and told us to line up and walked us down a hall pointing out which room to go to. About ten minutes later some ENT walked in and saw me. He was horrible. Told me to look at the watch on my wrist. Said, that is what I would soon feel about my tinnitus. I called my husband to come get me. He had to come in and carry me out. I wrote a letter to the House Clinic about how this treatment was unethical. Dr. House wrote back that I suffered depression and to treat that because...I was unstable. I will never allow anyone to have to face that same situation. Back then I sent the letters to the ATA. But the House Clinic was a sponsor or something. So NO. We must wipe this statement off the face of the earth. It is old and out dated and a scapegoat used by medical professionals who don't know what to say or do. And this isn't easy to recall or write about. That was my first journey on my road to recovery. I'm inclined towards waiting to see if there are any signs of life at 5News, like will they call Steve back. They really should use @Steve and @David because together there is really a good chemistry and understanding of what tinnitus is and how it affects each of us. I think Jazzer's story is too good to be sucked into some black hole in TV land. We certainly are not bashing the organizations efforts especially the BTA because at the least @David has joined our community on his own time. He has done a lot towards changing the old ways. Sorry this hits close to the heart and triggers PTSD which makes me very outspoken at times. And at other times retreat back to my isolation. But this site is helping me a lot. I don't want to forget but I don't want to live in the past either. I will respond to this but it will be in a while. Currently at ARO, lots of meetings set up with pharma companies, some doing tinnitus work already, others I hope to persuade to get involved. A lot on potential objective measures (which I think will be key) in animal models too. I'm glad that others are following my example on here of questioning the information that the BTA provides. After I challenged the BTA's claim on its website that "the great majority of those with tinnitus are not affected by it at all" and asked them to produce the evidence to back up this claim, the BTA decided to withdraw it instead. Claims about tinnitus "fading away" and "reducing" over time for "the great majority" are frequently made not just by the BTA but the ATA the NHS and other key information providers - yet little evidence has ever been produced to support this statement. I suspect that the evidence such as it is will be that most tinnitus sufferers do habituate to tinnitus over time. Yet if habituation means anything it is just that most of us manage to get used to the tinnitus over time - very different to the claim that the tinnitus noise itself always "fades away" or "reduces". Ensuring that the online information about tinnitus is accurate and reflects the true experience of tinnitus sufferers is one of the most important thing any of us can be doing. I hope that the BTA change or remove the "fading away" claim - and that other organisations follow their example. Just reading through and it makes me think that maybe we should produce a video as something that news outlets can use. I think we need to do some myth busting and get some facts out there, on the common misconceptions and things that can do harm (mainly from a community perspective). Wouldn't it be nice if it was something that they could use when doing their research as a reference guide? Or as a short they could insert into a story? It could be a series of videos, things that are too important to be glossed over. things that are too important to be glossed over. David C, there is s real problem here. Those of us with ‘considerable’ tinnitus know that it does not fade. The fading aspect is a myth as far as I am concerned. 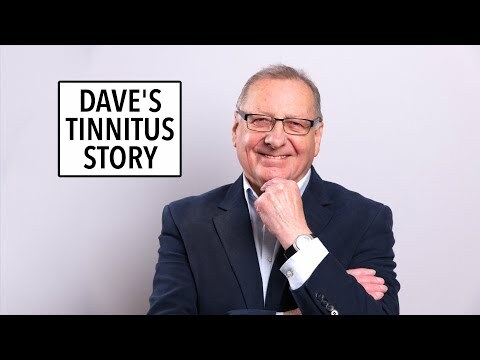 ‘Dave’s Tinnitus Story’ video, shows this aspect quite clearly. Yes, from my perspective, we can learn to cope with it better, through meditation etc... but are we supposed to portray the myth of fading to give some (false) hope?? I’d really like some advice here?? Absolutely right @Jazzer. This myth of "fading" needs to be challenged (along with a lot of the other information the BTA relays). Habituation is learning to cope with tinnitus - not tinnitus just "fading away". Isolation and depression takes careful hands when addressing where one is feeling harm or has been. I worked a crisis hotline before social networks existed. I was handed a call from a counselor that said this caller is too witty for me. I took the call and was told by a teenager that her mother left her in a church on her fourth birthday. She said that she avoids most contact with others and has no friends. We talked many times since. Later after I left the center of about 3 years, I was informed that she had a message for me. She was happily married and had a precious daughter. I never had many repeated thoughts of memory as I was always requested to move on to the next person. Now that I'm isolated due to my physical conditions my minds travels back to others who also experienced isolation and depression. The video @Steve and @David produced chatting about tinnitus was very interesting. Both of you have a good chemistry together. This would make a good project. Long message as I’ll try and cover a few things at once. So looking at the statement that tinnitus gets better. Over time it does appear that people’s ability to manage/cope with tinnitus increases. There is other work that shows that people enter and leave the tinnitus population. Unfortunately this is unpublished. A large scale hearing study started in the 1980’s showed a consistent tinnitus population over time but that the population changed, people entered and left that population continually. I can hear the cries at this being unpublished – I am frustrated it remains unpublished too. I am working on a paper with others looking at what the UK Biobank tells us about the natural history of tinnitus. Hoping to have it completed within the month and may tell a different story still. You can argue all of this is ‘low level’ evidence (most things in tinnitus are currently, frustratingly) but there’s nothing else out there at the moment. I’ve not seen anything arguing the opposite? All that said, there isn’t a ‘one size fits all,’ or common experience of tinnitus. 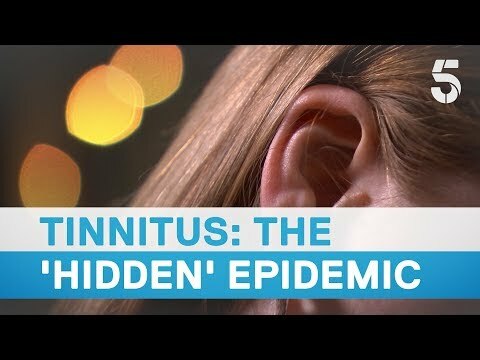 I believe everyone’s experience of tinnitus is unique and the variety from person to person can be so large that it will never be possible to reach consensus on any statement regarding tinnitus. There will always be a counterview. Something we have to be aware of and sensitive to. I don’t believe the above then puts off research efforts or that people don’t take tinnitus seriously as a result. Saying tinnitus improves doesn’t mean that people living with it where it has improved wish it wasn’t there anymore and many will still have it to a level where it is causing major distress. People learn ways to manage tinnitus or find ways to ameliorate the distress. This is helpful BUT doesn’t detract from a search for a cure or the understanding of the need for one. Money speaks – investors/biotech, etc know there’s a market out there and they will target it if they can. They are well aware of the potential market size and papers like the ones the BTA have produced on economics and current patient satisfaction with treatment all build the case and are seen as very useful to have this independently produced (i.e. not produced by the Biotech company pitching for money) when talking to investors. My real passion within tinnitus research currently is looking at; how to subtype tinnitus and identifying biomarkers and objective measures, as I believe these are vital to moving the field forward (as I said in the video with Steve). I am working with a group utilising the UK Biobank to see how far the data within it can take us on this journey and what we might need to do if it doesn’t fully answer the questions. There are other groups looking at these challenges from other perspectives too and I’m hoping to pull some of these together to share progress together in the future. We’re (BTA) not doing a good job at communicating exactly what we’re working on within this at the moment and it is something we need to improve. I will check in and answer any queries but it won’t be rapid, I’m out of the office a lot over the next month or so. Apologies for the long message but I realise this is a major issue for some so wanted to give some context. I will check in and answer any queries but it won’t be rapid, I’m out of the office a lot over the next month or so. Apologies for the long message but I realise this is a major issue for some so wanted to give some context – still unsure if this is enough! That's fascinating to hear about the study using the UK Biobank. Thank you for the work you do! Any news/thoughts on the "Drugs and Tinnitus" leaflet? So over time the majority of - though by no means all - people with subjective tinnitus have an increasing ability to cope. But that's a completely different thing from saying that the tinnitus sound itself "fades" over time. Sufferers can find strategies for coping with the noise of tinnitus without the noise itself going away or fading. What we need to check is how robust is the evidence for this claim of the tinnitus sound "fading"? How many sufferers have reported that - and what was the terminology that they used? At the moment the very limited evidence I have seen doesn't justify the claims of "fading" tinnitus which the BTA is making. But that's a completely different thing from saying that the tinnitus sound itself "fades" over time. Sufferers can find strategies for coping with the noise of tinnitus without the noise itself going away or fading. Where has the BTA claimed that it fades? I’m not saying they have or they haven’t, but this seems to stem from a video that was made independently by Isobel. Correct me if I’m wrong. I would agree that for the vast majority of people one’s reaction to tinnitus improves over time. This, however, does not equate to tinnitus fading. There is a big difference.